The Youth Advisory Board came together for a Fall Retreat/Halloween party consisting of an afternoon of fun games and hard work. 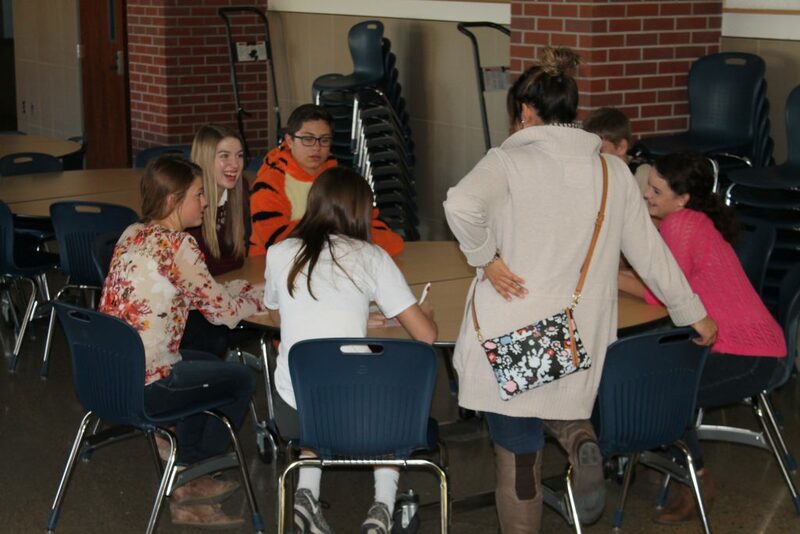 YAB members were invited to come to the Elm Creek school dressed in a fun Halloween costume. The meeting started out with fun games and treats for all to share before the students go working. The students had a costume contest to end the meeting. 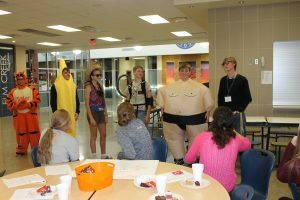 Mason Casper won scariest costume (Tigger), Rowdy Melton won most fruitful costume (banana),Kathleen Juhl won best costume (tourist), Brodrick Paitz won most creative costume (Ghostbuster),Wyatt Hubbard won funniest costume (Sumo), Colin Ibach won most techy costume (Tech Support guy). Each year the YAB students create sub groups to work during the year. The topics this year are School Spirit, drug and alcohol prevention, and stress management. After the students enjoyed their food, they split off into their subgroups and talked about their goals for the year. YAB members getting ready to work on defining the problems they want to work on through the year. The drug and alcohol group came up with various ideas for the year and touched on the idea of sharing statistics of consequences if one uses drugs and alcohol. They also talked about sharing what drugs and alcohol do to your body. The group also discussed how they can give people useful resources. Their discussion ended with a plan of writing letters to administrators at school, giving them a message to spread to their schools and communities. The self-care/stress group focused on creating a way to raise awareness of self-care tips and practices. They expressed interest in trying out different self-care tips at the start of every YAB meeting. The group ended with talking about a goal of trying out a self-care tip during the next month and of doing more research on self-care and stress. Yab Members working on one of their 3 topics for the year. 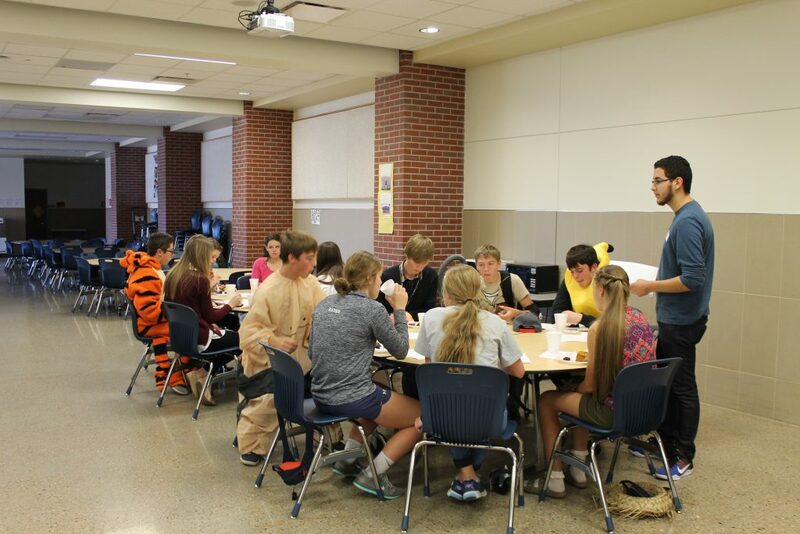 The School spirit/school pride group had lots of different ideas. They decided that they wanted to do some type of poster campaign or video about sportsmanship and school pride. The group also identified what type of support they want to see from school staff, coaches, and family. YAB will continue to meet each month and work toward their specific goals to bring change to their schools.